This summer has been so hot and dry, we’ve been eating a lot of ice cream. As is often the case, there’s nothing quite so good as homemade. 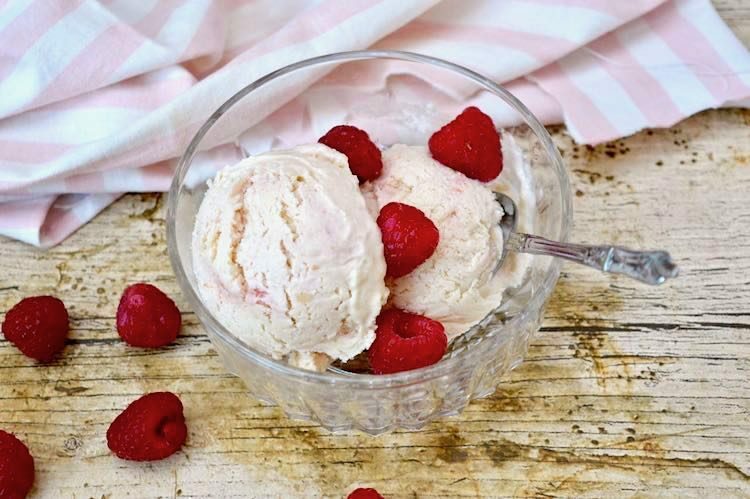 This peach melba ice cream is quite simple to make. 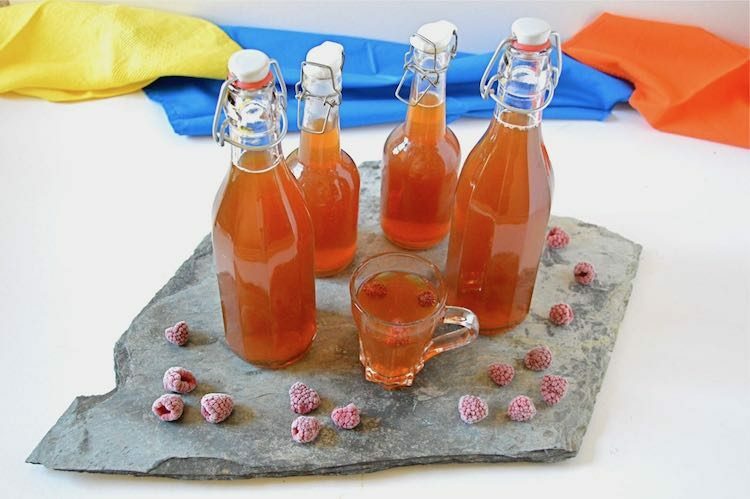 It only requires six ingredients and it uses the no churn method. 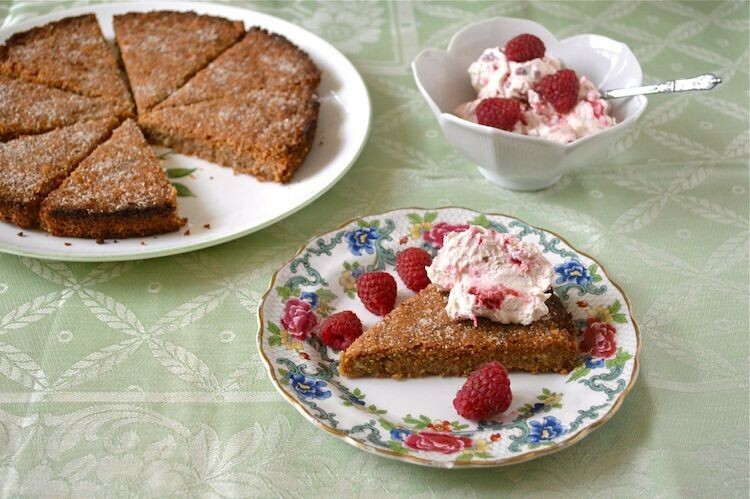 The base is made with peaches and cream and then swirled with fresh raspberry sauce. 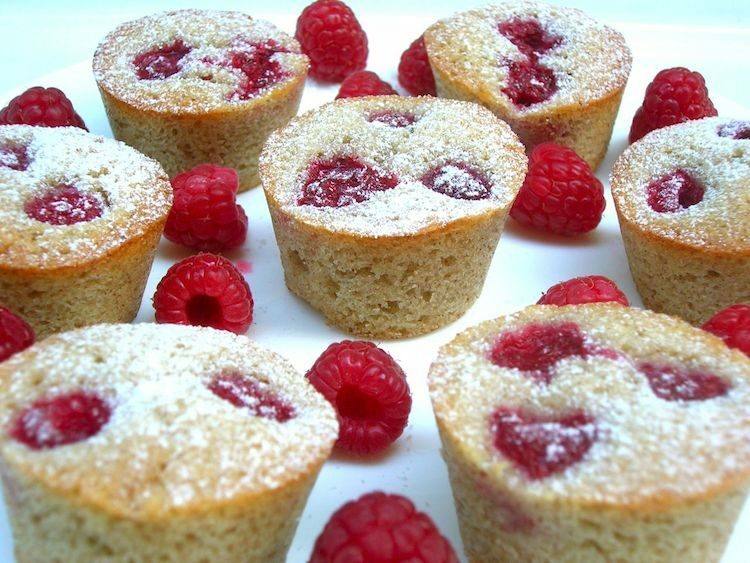 It’s surprisingly sophisticated, perfect for summer and quite delicious. As a wholefood blogger, I’m well aware of the importance of fibre in our diet, both soluble and insoluble. However, Public Health England have recently come up with a recommendation that adults should consume at least 30g of fibre daily. It turns out, apparently, that the average intake is only 18g. Oh dear! Arla Fibre to the rescue and a quick but effective breakfast ‘recipe’ from me for raspberry granola parfait. When I first met CT, I was intrigued by the bowls of bubbling brown liquid lying around his flat. They had a pleasant fruity tangy aroma emanating from them and were covered with what looked to be some kind of large flat mushroom. This was my introduction to kombucha. Yesterday, I made the most delicious dessert I’ve ever eaten. 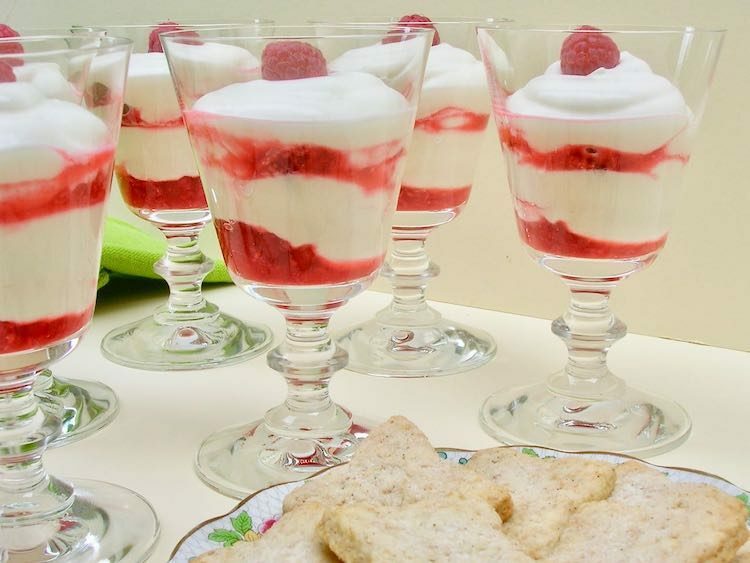 Well that may be a slight exaggeration, but this raspberry syllabub with Chardonnay vanilla biscuits was up there with the best. It was cool and creamy, but warming at the same time with bursts of intense summery tartness and accompanied by crisp vanilla biscuits with fruity tones. And it was all thanks to Lindeman’s. 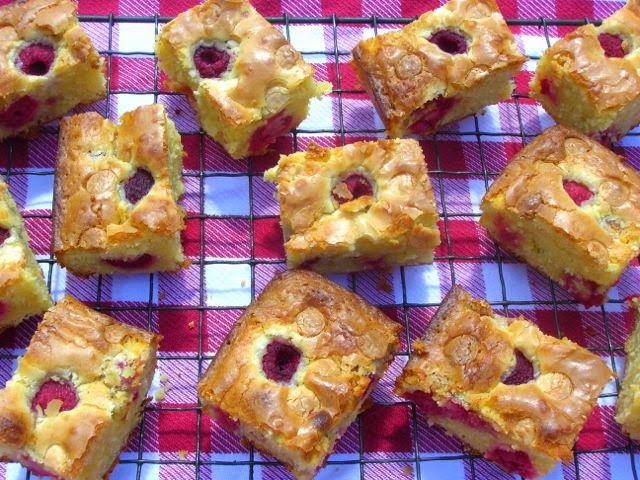 Tart juicy raspberries work exceedingly well when combined with sweet vanillary white chocolate I’ve found and this combination has become a particular favourite. 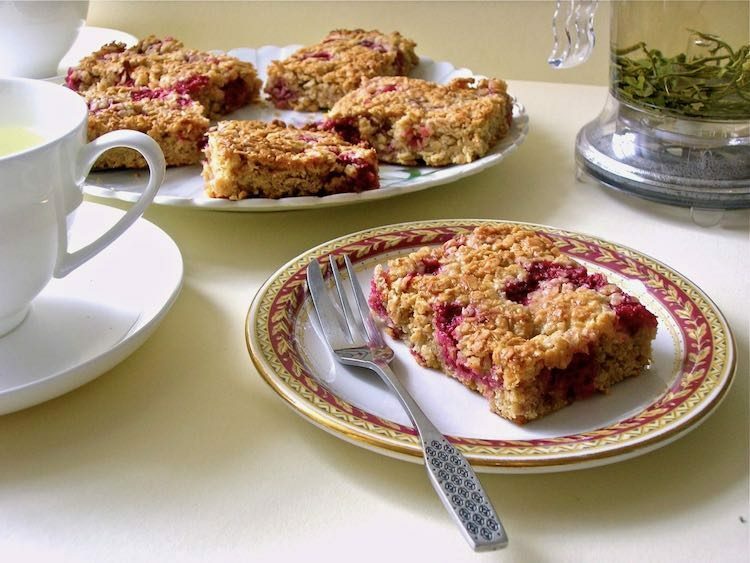 When I was tasked recently with finding a recipe to make from Baking Mad, I was looking for a picnic recipe for a little jaunt to the beach. 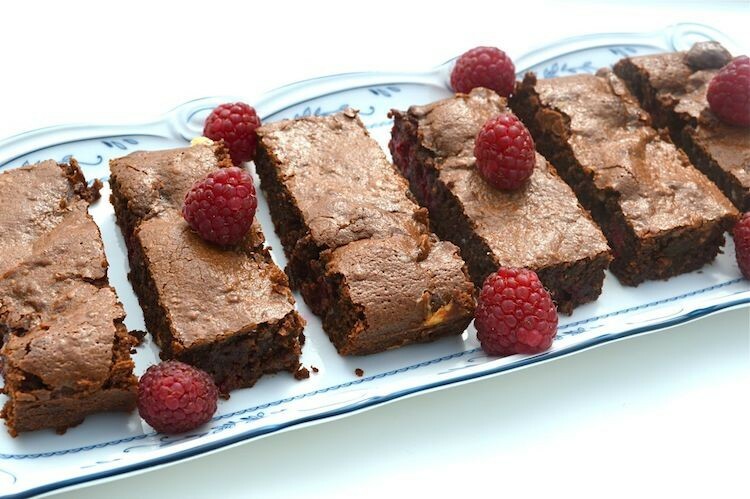 As soon as I saw the recipe for white chocolate and raspberry brownies, I had to look no further.